You only have to listen to the average business presentation to know that office jargon is everywhere. 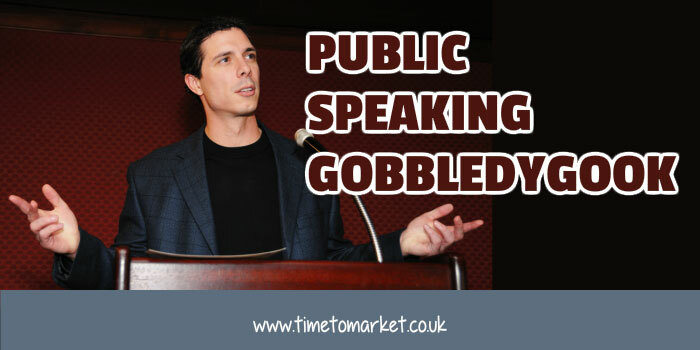 Public speaking gobbledygook. That’s a personal observation from just about everyone we meet running training courses. So, your first impression of office jargon or management speak might be amusement. But when that impression gives way to bafflement there’s a bigger problem. A problem of communication. Or more realistically, non-communication. The words used by the speaker or writer hide the intended meaning. That’s the conclusion this month of the Plain English Campaign. They’ve just announced the annual winners of their Plain English Awards; a series of awards for spoken and written English. And, of course, there are some prizes for the other extreme–the foot in mouth award for example. They’ve achieved some good publicity for both the campaign and the awards in papers such as the Daily Mail. Well done. Your bafflement with office jargon is made worse when it becomes public speaking gobbledygook. That moment when private office jargon creeps into the speaker’s notes, onto the PowerPoint slides and into the auditorium. What’s your reaction when you listen to? We need to squeeze the toothpaste with this one. Still baffled? Exactly. Public speaking gobbledygook leaves neither time nor space for checking understanding. Your audience has no ready glossary of gobbledygook to hand. And they are very unlikely to ask a neighbour what you are speaking about. After that, the problem gets worse. How about listening to this at your next business presentation? Let’s run this up the flagpole and see who sails it. I beg your pardon? It’s nonsensical and pernicious. But it also appears to be all-pervasive. You can’t ignore public speaking gobbledygook. It’s a problem for the speaker. Because their message isn’t going to be understood. And it’s a problem for the speaker’s audience. They really don’t know what the speaker is talking about. That’s communication. When it works, everyone benefits. But, get it wrong and no-one gains. 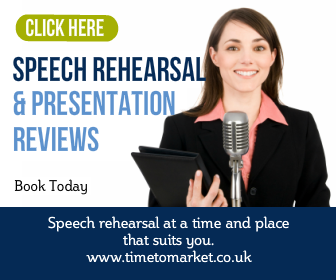 So, take some time to consider some language top tips for effective public speaking. Because when it comes to presentation language it really is your choice. 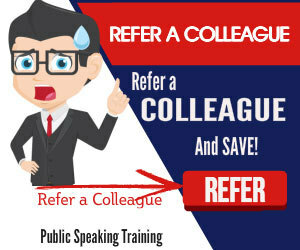 You can find out more about better ways to communicate and the pitfalls of public speaking gobbledygook with a public speaking course from Time to Market. You can train at your own offices. Or, you can choose one of more than 40 training centres as a suitable venue. Please don’t hesitate to call.